You can have your own customized URL for your facebook profile like facebook.com/username.It will make your profile attractive and you can easily refer someone to your profile by giving this easy to remember facebbok URL.The another benefit of making customized URL is that you will automatically get username@facebook.com email address. You can use this new email address (username@facebook.com) to login into your facebook account. Click on Account–> Account Settings. Now there you see Username field and click on the Edit button.. In the text box type your username that you want to set. After giving your username click on Save Changes button and go to your Profile. You will see your profile link as www.facebook.com/username. To set up a @facebook.com address, go to your Messages view and click the Claim your Facebook email link. Now you will also be able to login into your Facebook Account with @facebook.com rather than any other Email Address. 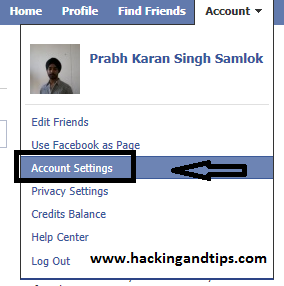 At the Facebook login Page enter your facebook username along with @facebook.com. i.e. username@facebook.com and enter your password. Your Facebook homepage will be open.